What a heatwave we are having – but with floods, drought and bushfires and the hottest January on record. My thoughts and wishes to all those experiencing these extremes. On a more cheerful note, are you thinking about travelling this year? I am a travel junkie and nothing makes me happier than sharing my love of travel with others and taking them along for the ride. I met with Mary Rossi Travel this week to finalise more details for our upcoming hosted trip to Japan. We have a few spots left, having to finalise our room bookings on 18 February, so I thought I would lead with it this week. Anyone who books between now and then, will not only receive a signed copy of Lyndey & Blair’s Taste of Greece cookbook, but one of my Brilliant Cut Knives, made in Japan, value $250. So why not join me? I’m travelling solo so everyone will be looked after. I have known the Claudia Rossi since high school and we have worked to come up with a very special itinerary: Japan – A Culinary & Cultural Adventure 14-25 May 2019. Claudia iRossi (MD) and her husband are coming too so it promises to be an amazing trip. We will also have a local Japanese/English speaking tour guide. The tour starts in Tokyo and is suitable for guests coming from the UK, USA, Asia, New Zealand or Australia. I’m enjoying researching the restaurants and special places we are going. 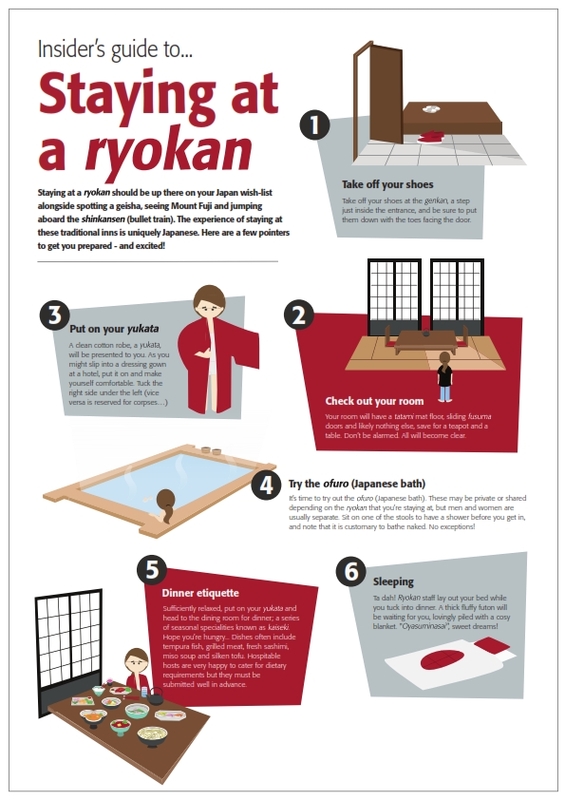 I have never stayed in a ryokan (see illustration above) and am looking forward to it. Curvaceous figs are simple yet sophisticated; their delicate soft pink flesh combines well with savoury foods like pancetta, soft cheeses and nuts, as their natural sweetness also teams deliciously with acidic flavours like raspberries oranges or blue cheese. This recipe combination is sublime. Fig, Honeyed Walnut & Blue Cheese Salad. I’ve been buying them very reasonably in punnets. Late summer peaches and nectarines are still good eating but they also make a lovely dessert fruit – try them roasted with this Roasted peaches with sweet shiraz syrup recipe. There is nothing quite like a new season’s apple. Bilpin, Batlow and Stanhope apple harvest are underway and Royal Gala variety are sweet, juicy and crisp. Available from February through to August, Royal Gala apples are a medium sized and the skin has a yellow base with red flushes. New season Williams pears from Shepparton in Victoria are sweet, juicy and flavoursome. Add pear slice to salads, team with rocket, parmesan and toasted walnuts or bake a batch of these moist and delicious pear and pecan muffins for a back to school treat. Add a bunch or two of new season grapes to your shopping list. Just picked, bunches are bursting with sweetness. 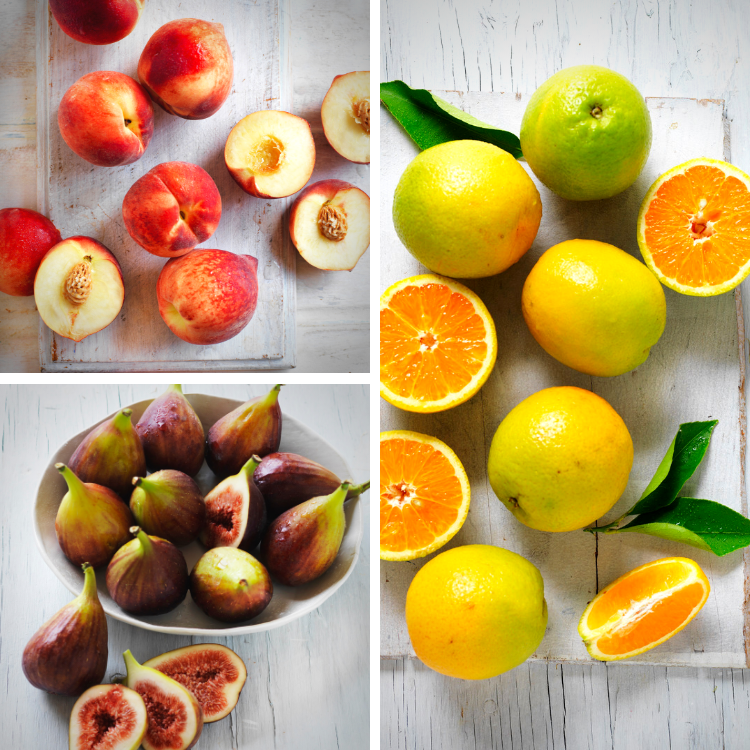 Seedless varieties like Menindee, Thompson, Ralli, Flame and Cardinal are plentiful and the superb quality. Add sweet, juicy grapes to children’s lunch boxes or sprinkle a little sweetness into your salads. Tangy limes are plentiful and very affordable or look for bulk buy specials. To maximise the volume of juice you get from a lime, roll limes between your palm and the benchtop to loosen fibres before cutting and juicing. The lime juicy dressing in this salad certainly makes it zingy and moreish Coriander, mint & lime chicken noodle salad. Oval shaped Sugar plums are extra sweet, small to medium-sized, with a red to dark red skin and yellow-green flesh. 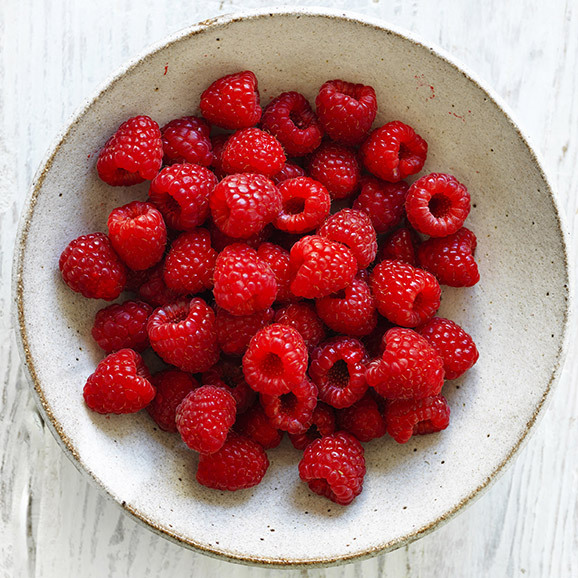 Serve fruit stewed with ice cream or use fruit to make pie or crumble. If you are looking for an ingredient that is rich in flavour and very easy to prepare then you can’t go past mushrooms. They cook in minutes and add loads of flavour to stir-fries, casseroles and pizza toppings. 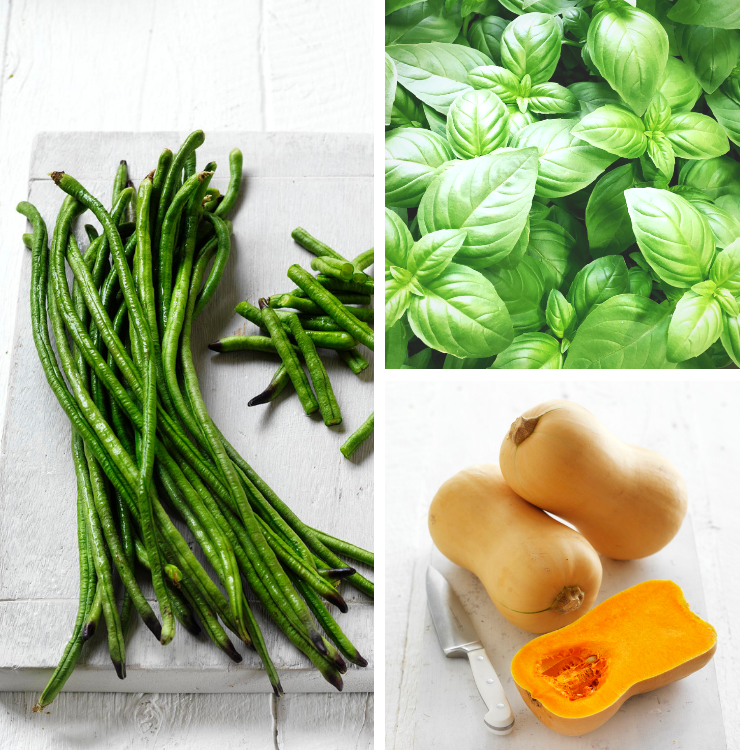 Mushrooms are the only ingredient in the fresh produce aisle to supply vitamin D.
Slender, fleshy and dark green in colour, snake beans are tender, mild-flavoured and versatile. Snake beans are at their peak freshness and value early autumn. Turn the humble butternut pumpkin into a star performer this week. Serve roasted pumpkin hot or add cold to a salad. Roasted pumpkin adds sweetness to a curry, risotto or pasta dish. Try this Roast jap pumpkin salad with soy dressing. In abundance in summer, fragrant basil teams well with ripe tomatoes, soft cheese like feta or ricotta and pasta. Choose vibrant basil with firm leaves and a distinct fresh aroma. Versatile carrots have a superb flavour and are rich in vitamin A. I buy them in bags. Boiled, baked, mashed, roasted, steamed or fried potatoes have the ability to absorb flavours and yet still retain their own character and distinctive flavour. Different varieties are sold loose, or look for specials like a 5 kilo bag for $4-$6. 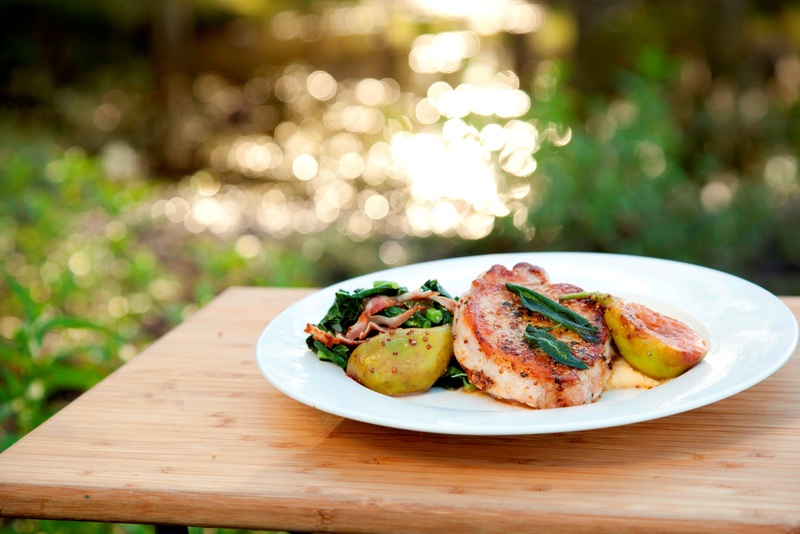 This Potato, Gremolata & Pine Nut Salad recipe perfect to serve with a barbecue. Baby fennel bulbs with their delicate aniseed flavour are the perfect addition to summer salads. 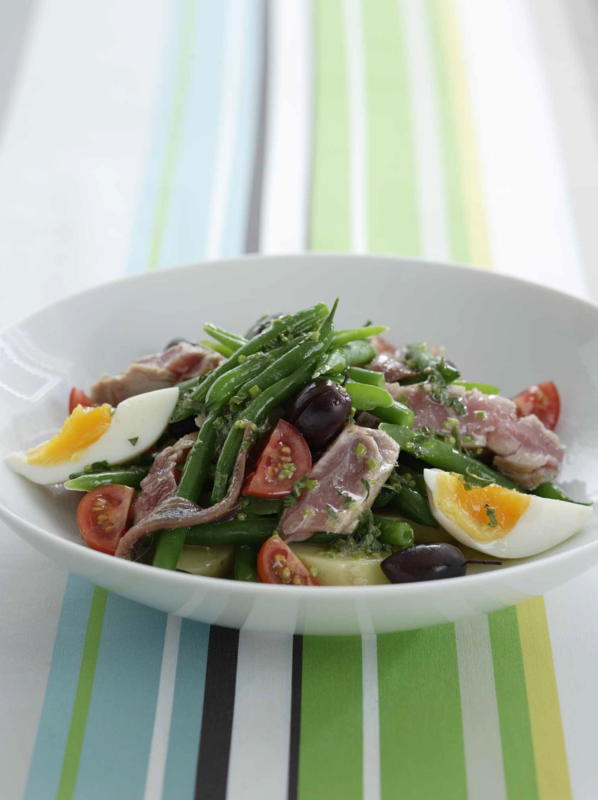 Finely shred and team with medley tomatoes, in a salad or risotto. Fennel marries will with superbly with oranges potatoes, mushrooms, seafood and lamb. Add a few to the shopping basket this week to enjoy this week. Make sure you try honey-sweet champagne melon before the end of summer when it is at its refreshing best. 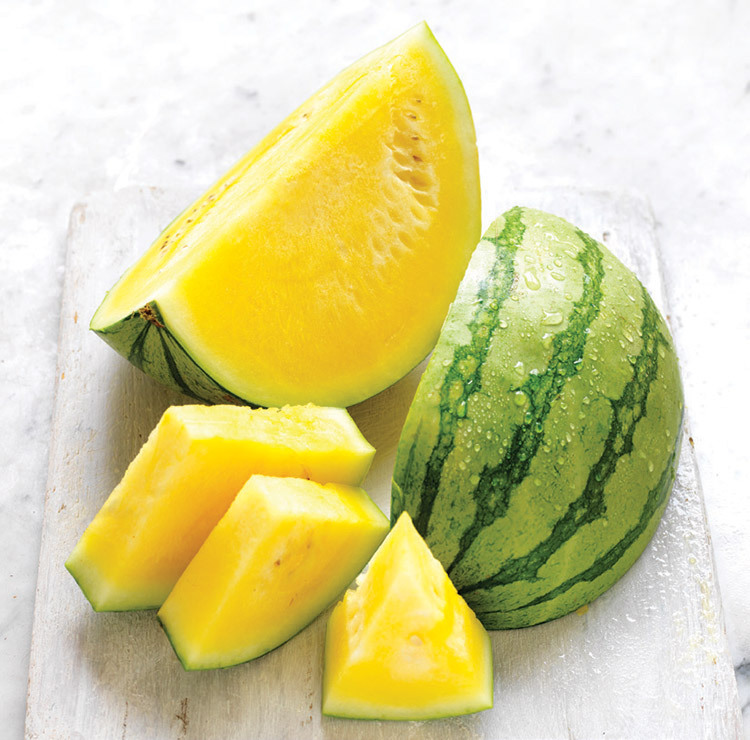 This watermelon variety has juicy golden yellow flesh with a mottled green-striped skin. Choose whole champagne melon that feels heavy for its size and sounds hollow when tapped. Store at room temperature out of direct sunlight for up to 2 weeks. Once cut, store covered in an airtight container or plastic wrap in your fridge. Use within 2 days. For a refreshing cool drink, blend chopped champagne watermelon with lemon sorbet and fresh mint leaves. For an easy, light entrée, arrange slices of champagne melon on a serving platter, top with crumbled feta, thinly sliced red onion, black olives and prosciutto. Drizzle with extra virgin olive oil and serve. Meanwhile for the pork, heat olive oil in a large frying pan over medium heat. Fry sage leaves until crisp and drain on kitchen paper. Season pork steaks with on both sides with salt and pepper. Place in frying pan and cook on one side only for 6 minutes. Turn and cook on the other side for a further 2 minutes. Remove to a plate without flipping (see note), cover loosely with foil and rest for 2 minutes. Add figs to pan, increase heat and add mustard and verjuice and bring to the boil. Add any juices from the resting pork plate. While the pork rests, add the pancetta, pine nuts and garlic to a large frying pan with olive oil and cook, stirring, until the pancetta is golden and nuts are browned lightly. Add the cavalo nero and stock or water and cook, stirring, until wilted. To serve, place a large scoop of polenta on each of 4 plates, add pork, top with figs and sauce from pan, and cavalo nero on the side. Lyndey’s Note: It is important not to flip the steak when removing from the pan to rest as the juices will have risen to the top and the steak will dry out if flipped. If you prefer a “hint of pink” reduce cooking times accordingly. 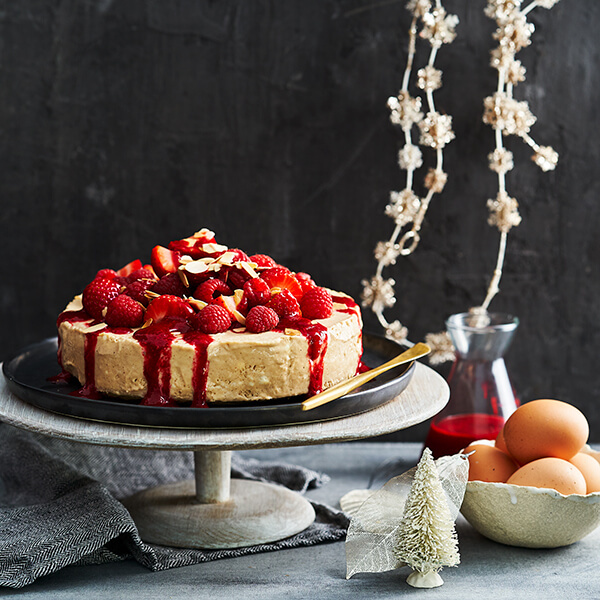 This recipe comes from the award-winning TV series and cookbook, Lyndey Milan’s Taste of Australia. I first at David Tsirekis’ food at the legendary restaurant Perama. 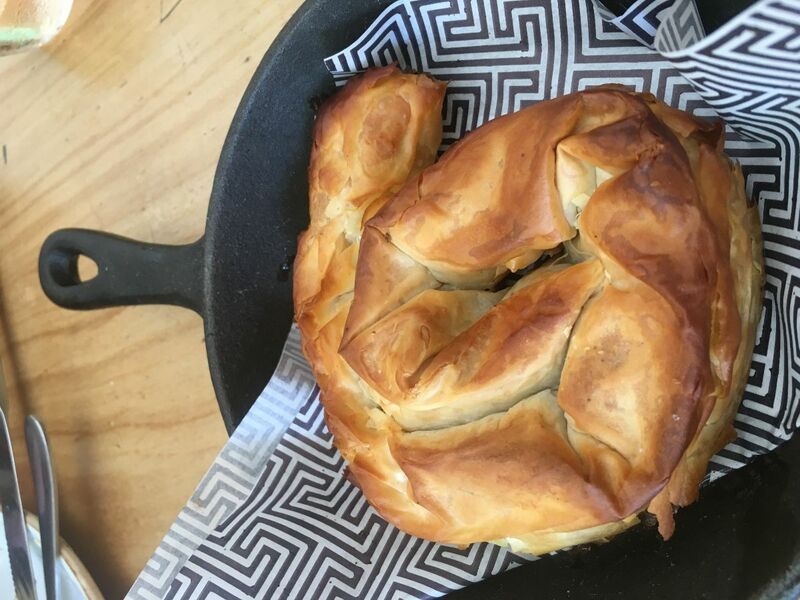 It was like no other Greek in Sydney then, his own and his family’s take on traditional dishes and the all-time favourite Lamb Skaras. We because friends, I shared Greek Easter at his home and hosted him on Fresh with The Australian Women’s Weekly on the 9 Network. Quite separately, my late son, Blair, performed Greek philosophicaI plays at Perama. Subsequently I followed David and his food everywhere he has been in Sydney, most recently at 1821 in Pitt Street and now to Zeus Street Greek. David is a lover of Greek culture and history and great company. He has also been consulting to restaurants overseas and even lectures. He is now overseeing the menus and controlling the quality at the various Zeus Street Greek restaurants around Australia. 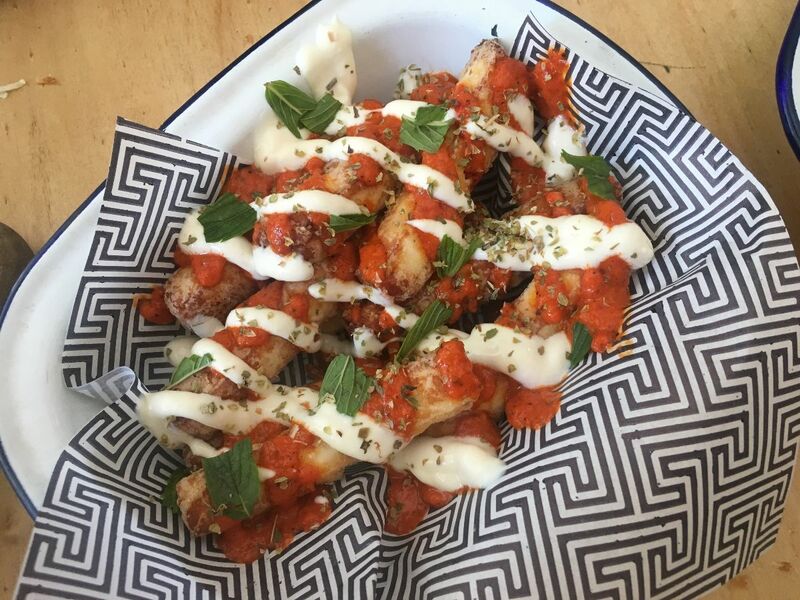 The first Zeus restaurant opened in Drummoyne NSW in 2014 after recognising a gap in the market for a Mediterranean offering within the fresh casual space. 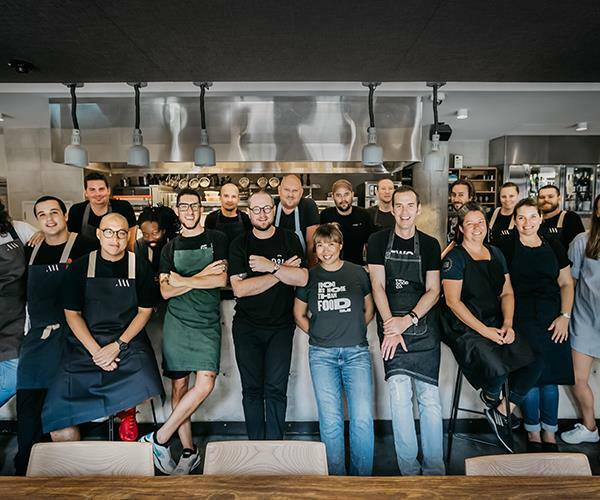 There are now 12 restaurants in NSW (Australia Square, Balgowlah, Broadway, Dulwich Hill, Drummoyne, Gladesville, North Sydney, Shellharbour, Surry Hills, Rosebery, Wetherill Park, Westfield Sydney), one in Melbourne (Moonee Ponds), one in Canberra (Canberra City), one in Western Australia (Westfield Carousel) and five in Queensland (Harbour Town, Robina, Westfield Chermside, QueensPlaza, South Bank). 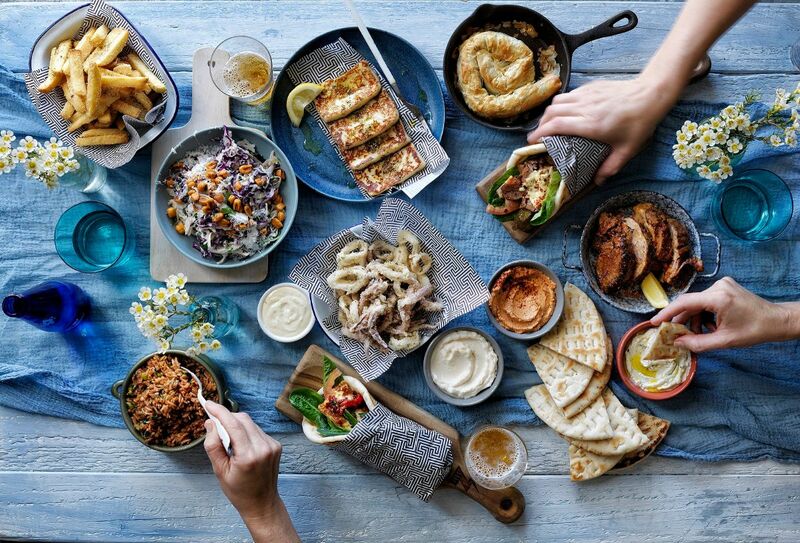 Zeus Street Greek is all about sharing Hellenic food and culture, hospitality and retail excellence in a modern Australian context. The food is far from any late-night greasy Gyros. 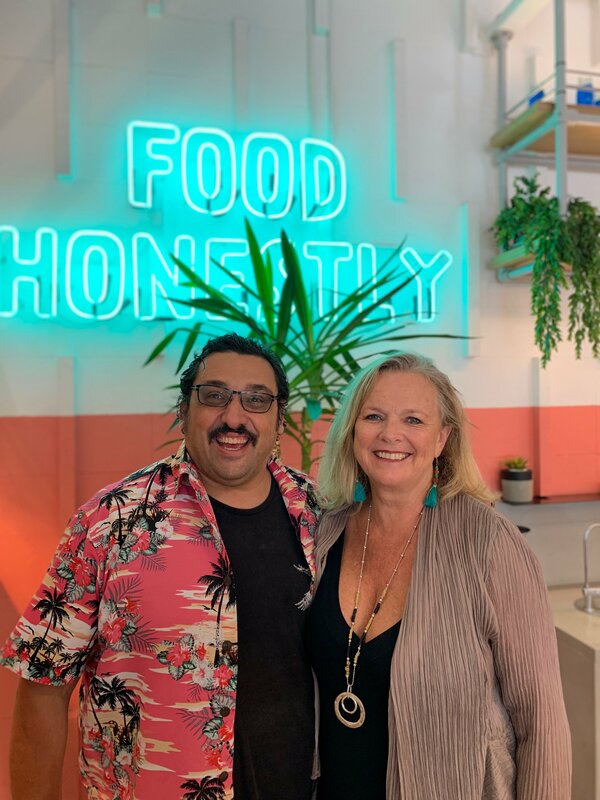 David is helping Zeus to challenge this perception by taking the best of traditional Greek street food and adding a creative contemporary Australian twist to offer fresh, great tasting food. This is a casual eatery so the menu is inexpensive yet very appealing. David has introduced real white taramasalata, which was a must sample for me. I was impressed too that he is continuing to develop a very good gluten-free pita. It was as good as I remembered, along with spicy feta and beautifully washed down with a chilled rosé (they are licensed). Then it was onto the ever popular Haloumi chips – haloumi hand cut to look like chips, dusted in tapioca flour, fried and served with smoky yoghurt dip. New for me was the Zeus slaw, a terrific combination of cabbage, garlic aioli, currants, mint, crunchy corn & parsley topped with grated haloumi. I have never eaten haloumi uncooked before and it really works in the same way grated parmesan does. His spanakopita is a stand-out. Scrolled into a small cast iron pan, it is crisp and flaky outside, yet moist inside. 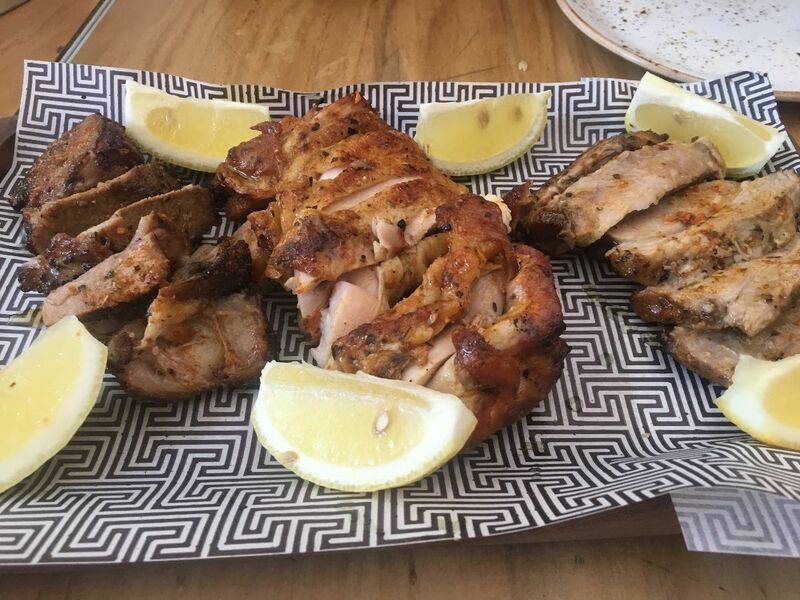 I stayed away from the many Pitas on offer, and instead had the Chicken from the spit, rubbed with spice and simply served with lemon. With it, pilaf , a warm rice medley infused with tomato salsa, onion and herbs. 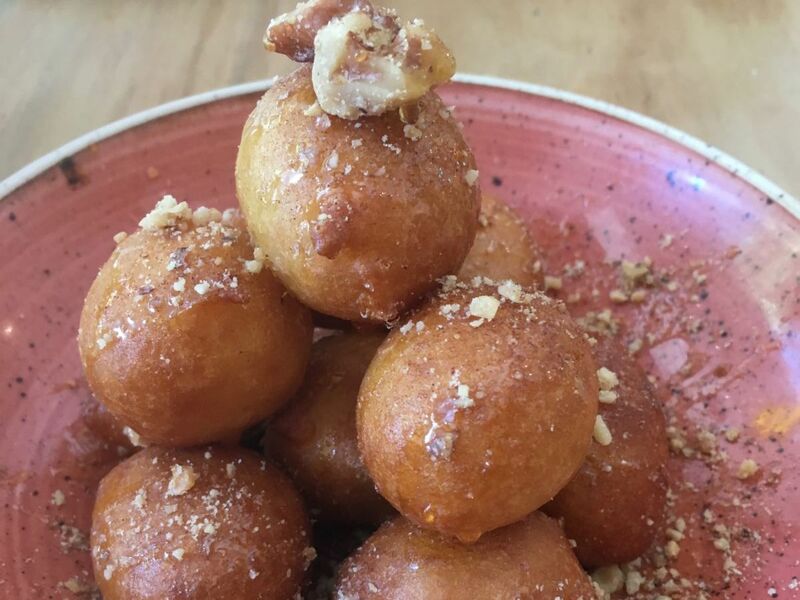 To finish Loukoumades, traditional Greek dougnuts drizzled with honey cinnamon sugar and walnuts. Sadly no Greek coffee, nor any coffee at all. Overall a fresh, light and easy dining experience, incredibly well-priced. I wish I had one close to me. There are also well-priced lunch boxes for one to eat in or take away. I have long been a fan of what cheesemakers are doing in Australia. I was pleased to read in Good Food about some great advances and also a list of some of our top cheeses. 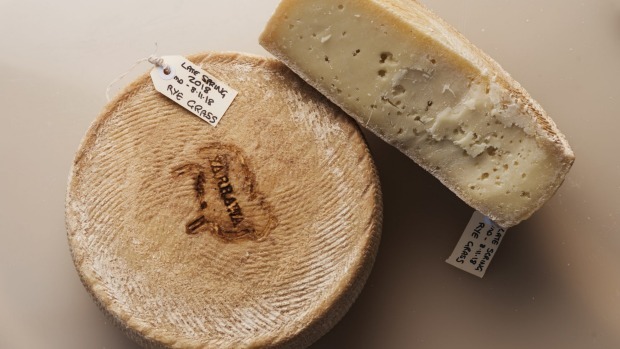 Great to see commendation for this new cheese from the fabulous duo at Pecora Dairy, Cressida and Michael McNamara. The cheese is named Yarrawa, a Wodi Wodi word for the cool climates and ferny rainforests of the Southern Highlands where it was made. As it happens the Sydney Royal Cheese & Dairy Competition kicks off next Monday with results announced on 18 February at the Cheese & Dairy Awards night, which I am MCing. Tickets available here. The Drinks Business reports that the Economist has released its annual Worldwide Cost of Living 2018 report, revealing the Top 10 most expensive cities in the world for wine. Good Food speaks to the experts in A guide to the auspicious meanings behind Chinese New Year foods. Dan Hong from Ms G’s and Merivale in Sydney is collaborating with Matt Abergel of Yardbird in Hong Kong at Ms G’s on 3 March. Abergel, an authority on yakitori chicken, is Co-Owner and Executive Chef of R?NIN and Yardbird. Having worked at Masayoshi Takayama’s Masa in New York and at Hong Kong’s Zuma, Abergel opened Yardbird Hong Kong in 2011, earning a cult-following for his beak-to-tail approach in the kitchen. The one-off Matt Abergel x Ms.G’s will present flavour-packed menu of Abergel’s signature dishes including the famous yakitori, Katsu Sando, chicken and egg rice and sweetcorn tempura, alongside Ms.G’s favourites – cheeseburger spring rolls; prawn toast, herbs and Yuzu aiolil strange flavour burrata; prawn and black fungus wontons and soy dressing; roasted eggplant, miso caramel Furikake; and wok fried greens, dried shrimp and smoked soy. Veneto, Puglia, Calabria, Sicily, Tuscany, Sardinia, Liguria, Piedmont and Lombardy are the culinary destinations on this year’s Vacation Series calendar with a great value lunch offering in Brisbane with three courses $36, two courses $30 or $24 for a main. 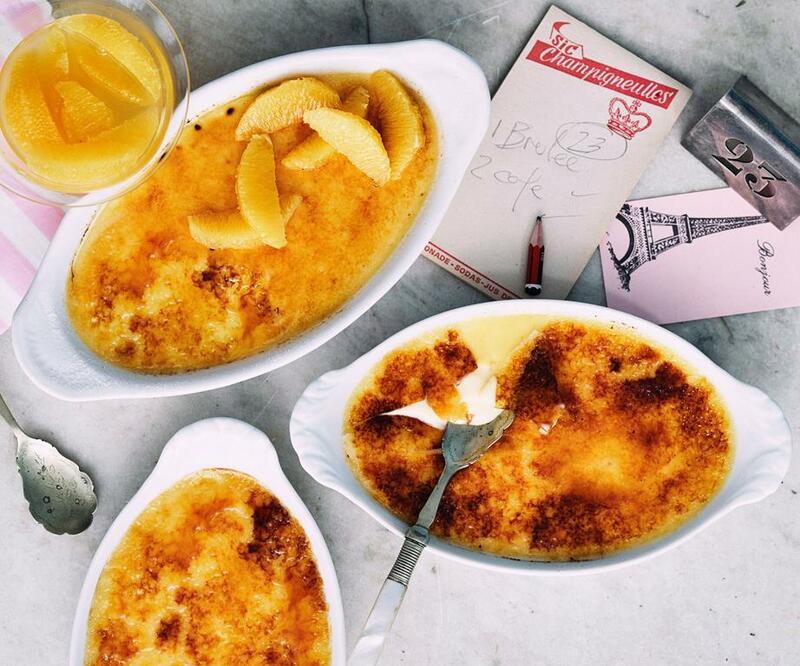 In a nod to the Italian love of a Sunday lunch shared with family and friends, each new Vacation Series region will be officially launched with a very Italian Sunday celebration of food, wine, music and adventure known as Bucci’s ‘Sunday Series’. Guests will enjoy eight shared dishes from each region and a glass of prosecco for $55. Chef Clayton Wells will be joined by Ben Greeno (The Paddington, Hotel Centennial), Paul Carmichael (Momofuku Seiobo), Monty Koludrovic (Icebergs, The Dolphin), Trisha Greentree, (Soon to be 10 William St), Luke Powell (LP’s Quality Meats, Bella Brutta), Palisa Anderson (Boon Cafe, Chat Thai), Josh Niland (Saint Peter), Federico Zanellato (LuMi Dining) and Dan Hong (Mr. Wong, Ms.G’s), who will all ‘bring a plate’ to support Two Good Co. This is a buy one, give one social enterprise and food delivery service. For each meal sold a second meal is donated to a women’s safe house or soup kitchen. Through their charity Table, it employs women from the safe houses we serve to make the food. Cost: $100pp includes 10 snacks and three drinks (with additional drinks available to purchase)All proceeds go to Two Good Co.
Read more in Gourmet Traveller. 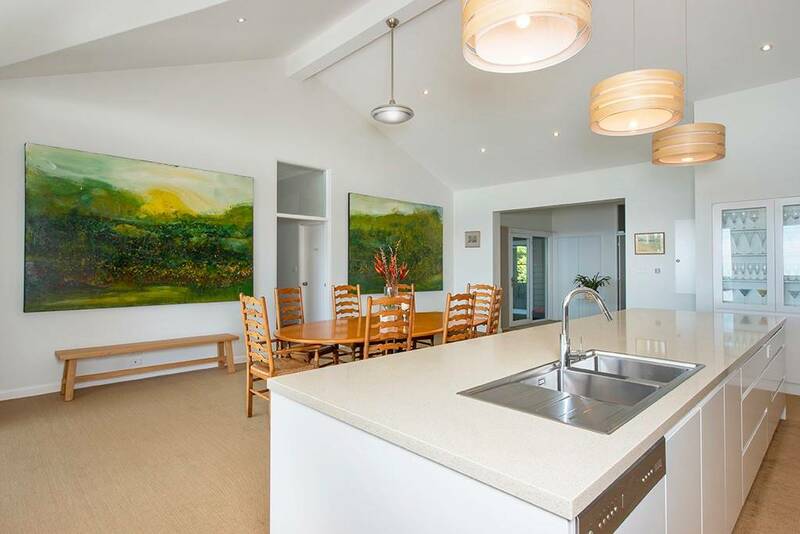 As my partner and I now split our time between Sydney and London, a friend is managing our country property, Greek Park and we are letting it out for short stays. 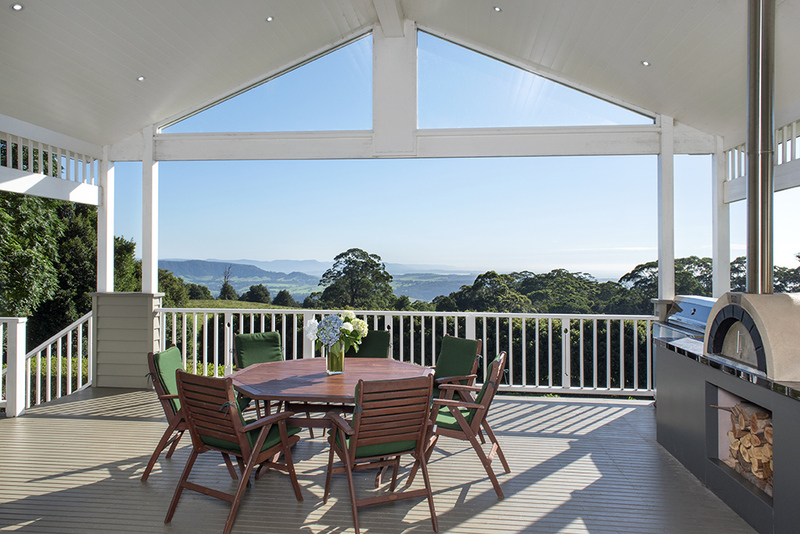 Green Park is a 6 bedroom (sleeps 14) holiday let, 4 bedrooms are master suites. 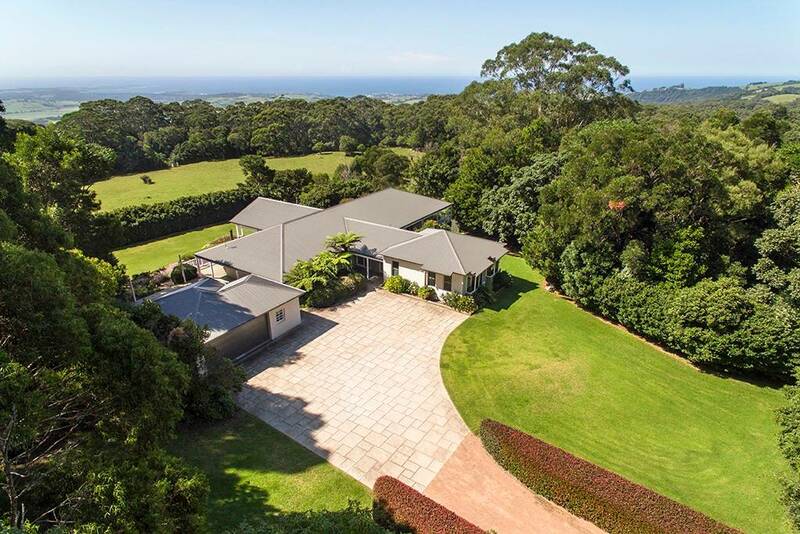 Situated on an 8 acre property with gardens and a view out to the coast. 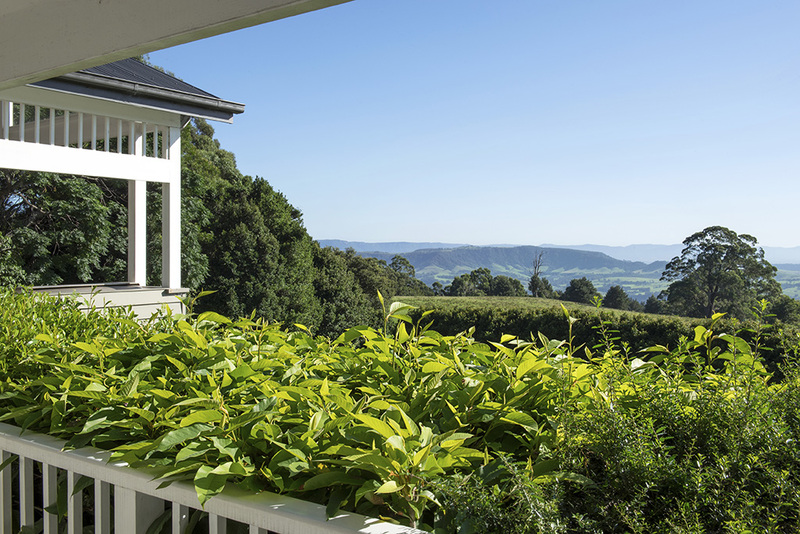 The house is surrounded by well – tended lawns, a croquet lawn, a citrus orchid, and a herb & veggie patch that all sink into natural bush. There’s a fabulous wood-fired oven as well as BBQ on the deck. Only 2 hrs from Sydney and 15 minutes to beaches. 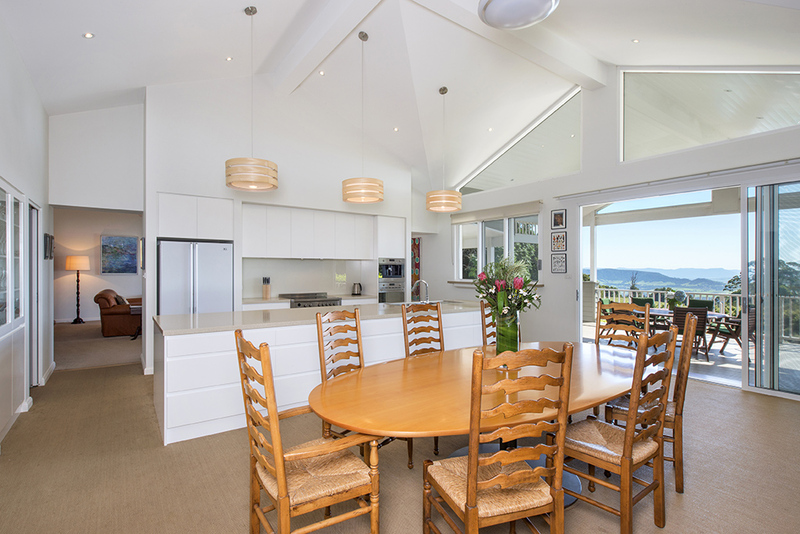 Idea for groups who want a quiet getaway.See more and book here.